Design for Pakistan aspires to bridge the gap between ideation and execution by equipping students with the tried and tested design process to help them brainstorm ideas and polish them before execution. Having studied engineering management at Duke University on a Fulbright scholarship and steadfast in his desire to give back, and to address this problem-solving gap, Ahsaan created Design for Pakistan. The project aims to train young minds in design thinking (human centered design) so that they are better equipped to innovate and become successful entrepreneurs as well as to play an active part in community service. 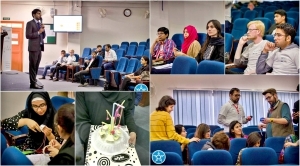 To help college students better understand the importance of developing solutions to community problems and to bolster Pakistan’s startup ecosystem, Ahsaan has organized seven human centered design workshops at higher education institutions in Islamabad like the National University of Science and Technology, COMSATS Institute of Information Technology, and National University of Computer and Emerging Sciences. Each workshop has a specific theme (climate change, environmental sustainability, social entrepreneurship, architecture etc.) where students are motivated to develop solutions using the design process framework developed at Stanford dSchool. Design for Pakistan has since been able to engage over 600 students in developing solutions to community problems by conducting capacity building workshops at several local institutions. 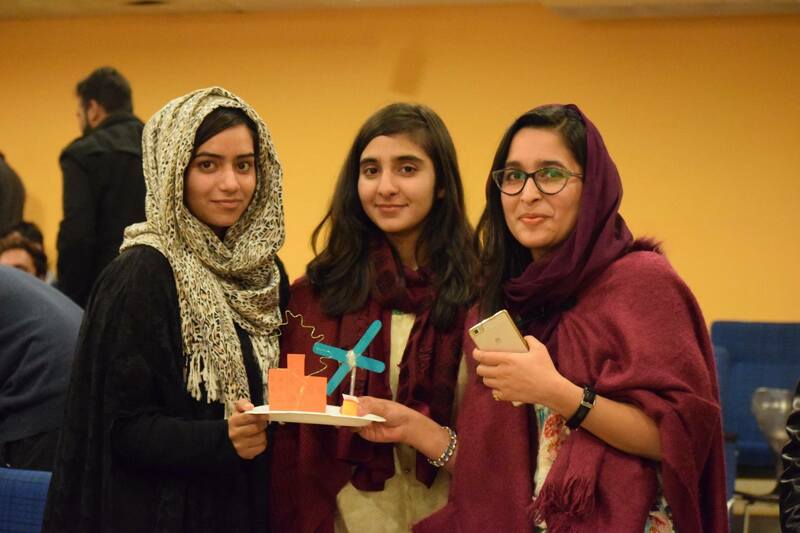 Students pose with a “prototype” of their design addressing climate change at a “Design for Pakistan” workshop at COMSATS in Islamabad. Design for Pakistan is funded by the United States Educational Foundation in Pakistan through its Fulbright Alumni Grants for Academic Activities (2016 – 2017) program. The grant partially funds academic activities such as workshops, seminars, conferences, and training sessions initiated by Fulbright alumni in their academic disciplines or area of specialization/ expertise. The aim of the grant is to support educational activities in all academic disciplines across Pakistan. The maximum funding available is USD 2,000. All Pakistani Fulbright alumni (Masters’, PhD or Post-Doctoral research grants) are eligible to apply for these small grants. For more information, contact: alumni@usefpakistan.org. When he’s not mentoring students about design thinking for social good, Ahsaan consults for Huawei Technologies where he oversees the technology aspects of clients’ wireless communication network. 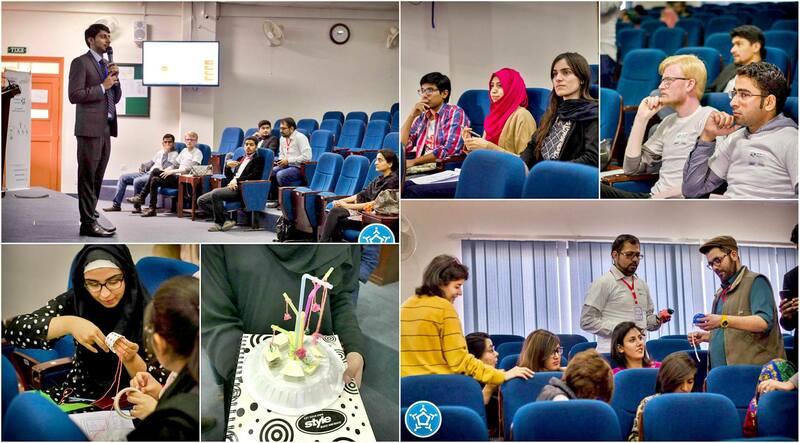 Visit @designforpakistan on Facebook to see when Ahsan’s next workshop is scheduled. Previous PostTenth South Asia Tour Brings 23 U.S. University Representatives to PakistanNext Post Winter Donations, Competitive College Club, and EdUSA at DAWN Expo 2017!